I was in my usual Friday position, that is, splayed across the couch with a steaming cup of coffee, listening to the Festival Radio podcasts on the NGC Bocas Lit Festival presently taking place in Trinidad, and thinking that I was in the wrong island. I guess I shouldn’t complain too much because Barbados’ own literary festival is coming up in May. Anyway, Peepal Tree Press Founder, Jeremy Poynting made an interesting point in an interview about the gap between the type of books that Caribbean writers like to write and the type of books that Caribbean readers like to read. Peepal Tree Press is a British based publishing company that focuses on publishing Caribbean and Black British literature. Poynting said that most Caribbean readers want to read genre fiction, while most Caribbean writers want to write literary fiction, which is important, but it’s not reaching a wide Caribbean audience. He mentioned the fact that one of the ambitions of the Caribbean writer, going all the way back to the days of the late C.L.R. James, is to reach the people that he or she is writing about. 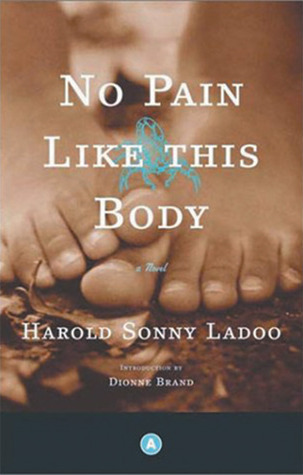 I remember being a teenager in Maryland, and my Dad was so concerned that I was losing touch with my ‘Caribbean Identity’ that he forced encouraged me, enthusiastically, to read No Pain Like This Body by Harold Sonny Ladoo. It was a story about the struggles of a poor Indo-Trinidadian rice-growing family. This entry was posted in Thoughts and tagged Bim Literary Festival and Book Fair, Books, Calabash International Literary Festival, Caribbean Literature, CLR James, Earl Lovelace, Literary festivals, NGC Bocas Lit Festival, Peepal Tree Press. Bookmark the permalink.